It’s hard enough for a child to go through a terrible disease like cancer. It’s much harder when they lose a significant part of their appearance like their hair. The Magic Yarn Project has a way to help kids going through these tough times to help them feel special. The Magic Yarn Project was started by Holly Christiensen in Alaska after her friend’s daughter was diagnosed with cancer. 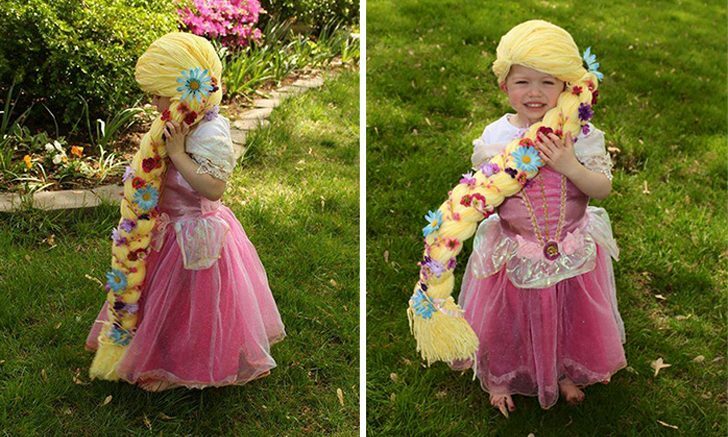 To help her feel better about the loss of her hair, she crocheted a wig out of yarn inspired by Disney’s Rapunzel. After feeling inspired to make more, Holly ended up creating a nonprofit to make sure kids across the country feel like themselves again. The organization has grown so much that now southern Indiana has a chapter to help boys and girls with cancer and Alopecia, a condition that causes spot baldness. Kelley Schipp, the southern Indiana chapter leader of the Magic Yarn Project says this is a perfect way for kids to cope with the loss of their hair. There are plenty of options for boys as well, as they can transform into their favorite superheroes, such as Spider-Man, Batman, Green Lantern, and others. These wigs are normally made for those in the age 2-12 range. The southern Indiana Chapter is fairly new and has crocheted and shipped out over 120 wigs, where the Magic Yarn Project as a whole has shipped out over 12,000 wigs worldwide since it’s inception. If you would like to help with the Magic Yarn Project, Schipp says they are always looking for volunteers. For the full interview with Kelly Schipp of the Southern Indiana Chapter of the Magic Yarn Project, click here. Be the first to comment on "Magic Yarn Project Helps Kids With Hair Loss Feel A Little More Special"